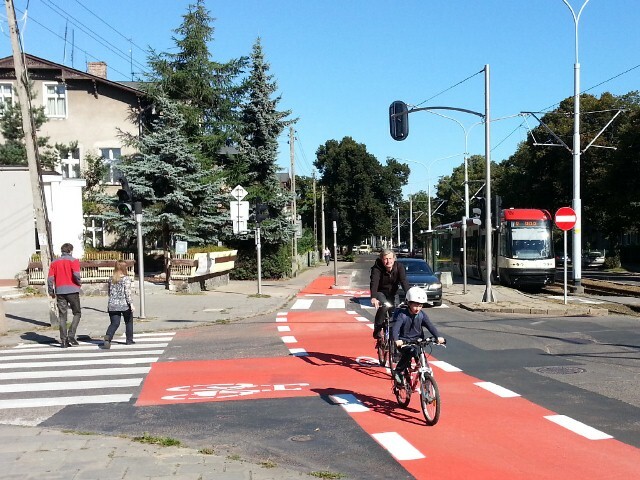 In Gdansk, a major street within in the university district was completely remodeled in a cycling-friendly manner. Where it used to have two lanes that cars and cyclists had to share, there is now one lane for cars and a wide bike path for cyclists. Various other measures have been taken to transform the street into one that is more cycling-friendly. Prior to the planning of these measures, a delegation from the Municipality of Gdansk had been on a study trip to Copenhagen and Malmo in order to get a sense of how to generate a bicycle-friendly infrastructure and to exchange ideas with local city planners. On the cycling friendly street, cars are allowed but they have to adhere to a tempo limit of 30 km/h, which is supposed to serve to assimilate the speeds of cars and cyclists. This is an appropriate measure for improving road safety because compared to a tempo limit of 50 km/h, the length of the brake path is halved. Furthermore, speed bumps on the car lane help enforce the tempo limit. 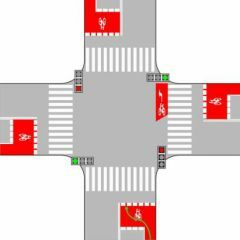 Near the traffic lights, the bike path is broadened to a bike box that allows cyclist who want to make a left turn to wait - during red light - in front of the cars. Thus, they become clearly visible to car drivers. In one direction the solution of the bike box is combined with an indirect left turn which is usual in Copenhagen. By this cyclist can avoid to cross the lane during green light when cars may overtake them. In addition, separate traffic lights for cyclists have been installed that turn green a few seconds earlier than the regular traffic lights, such that cars that are about to turn right become aware of cyclists, too. Prior to the reconstruction of the street, were several abc-workshops were conducted with local residents, both to inform them of the planned measures and to accommodate their concerns in the planning process. In September 2013, the bicycle-friendly street was inaugurated. 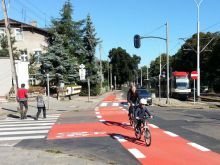 The City of Gdansk continues its efforts to transform Gdansk into a city of short distances that provides a high quality of life. by implementing a new traffic organization on Lenartowicza street. The project was first presented at the abc-think tank workshop in Kalmar in April 2013, a workshop that was organized in order to facilitate exchange of experience and to generate ideas as to how to remodel the street. The general idea behind the current project is that of a transformation from transit to local traffic where the residential area will reap high benefits from enhancing the tram system and traffic calming measures. The project also aims to increase the safety of traffic participants that are particularly vulnerable. Access to the tram stops and the routing for pedestrians and cyclists will be improved. The tram platforms located on the road will be raised with speed bumps. 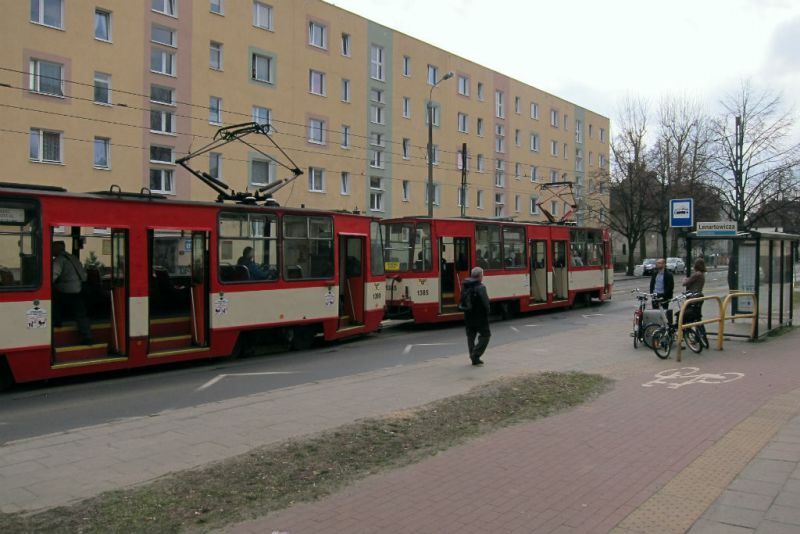 Next to the tram stops, bicycle parking facilities will be installed in order to encourage intermodality. The space on the bridge will also be reorganized. The pavement will be broadened by approximately one meter in order to make enough room for both pedestrians and cyclists. As a consequence the street will be narrower and the car traffic be slowed down. Residents of the area will benefit from these changes. Currently, the transit through the district includes commercial vehicles and trucks, commuting seaport employees as well as tourists and residents who are getting to the beach by car. They will soon have to get used to the new traffic organization. As a result the district will be a safer and quieter place to live. Indeed, the new infrastructure will boost the cycle traffic as well.